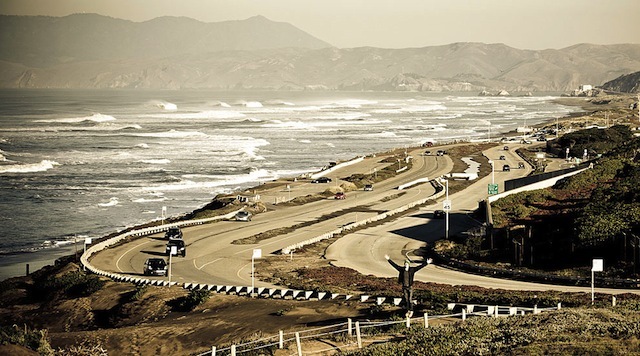 Ocean Beach is notorious for its forbidding weather and unpredictable waves. And it wasn’t easy to get to this windy cliff side, running along the west coast of San Francisco, until a railroad line – with steam engines –was built in the late 1800s. Still Ocean Beach is as popular now as ever, a favorite area for local surfers being Kelly’s Cove, a spot on the northern part of the beach. 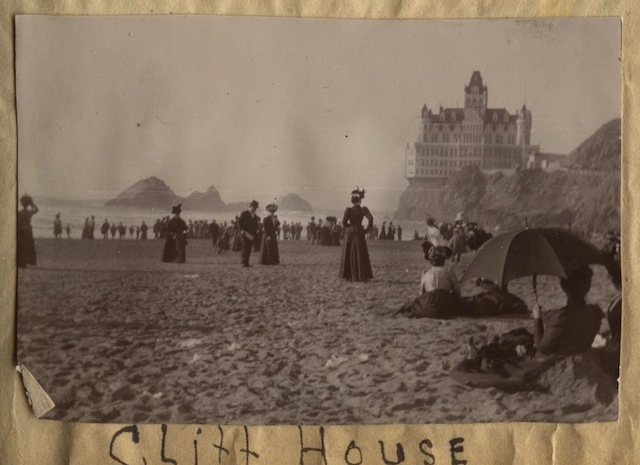 The Cliff House next door attracts tourists who want to check out the scene without going into the frigid, turbulent water. 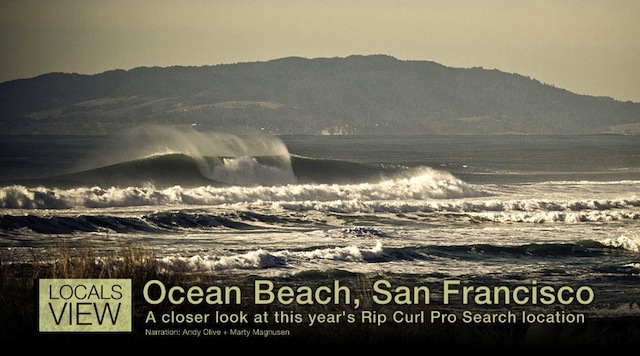 Take a look at locals Andy Olive and Marty Magnusen’s slideshow for Surfline. It was put together before the Rip Curl Pro was hosted here in 2011. Little did they know that legendary Kelly Slater was about to win his 11th championship title at the age of 39! For more information about the beach, check out the Parks Conservancy website.